September 26, 2018 - Studies of Nepal’s tigers have found a remarkable population increase of 19 percent over a four-year period. 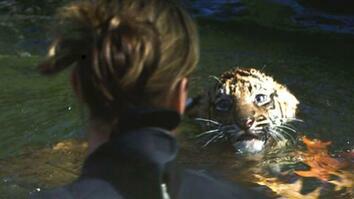 Nepal is now estimated to have 235 tigers across five national parks. Scientists say Nepal’s has used an excellent conservation “recipe.” Camera traps help scientists count wild tigers and also monitor their health. Catching a glimpse of tiger cubs playing is a good sign as it suggests cubs are well-fed and have plenty of energy. It’s one sign of a healthy tiger population. Studies of Nepal’s tigers have found a remarkable population increase of 19 percent over a four-year period. 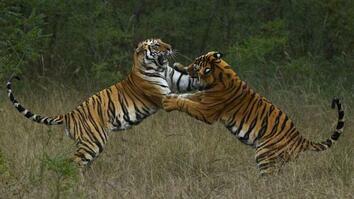 Nepal is now estimated to have 235 tigers across five national parks. 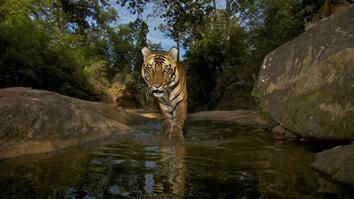 Camera traps help scientists count wild tigers and also monitor their health. Catching a glimpse of tiger cubs playing is a good sign as it suggests cubs are well-fed and have plenty of energy. It’s one sign of a healthy tiger population.